Two aliens landed in the remote countryside and went walking from the flying saucer along a narrow lane. The first thing they saw was a red pillar box. `Take us to your leader,' said the first alien. `Don't waste time talking to him. Can't you see he's only a child?' 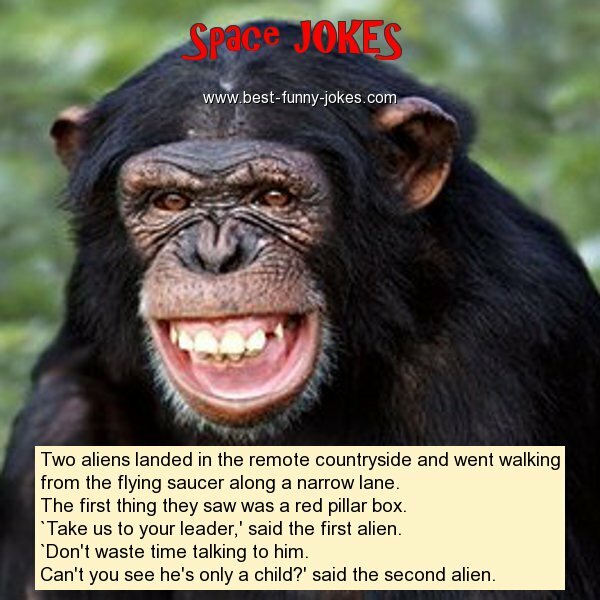 said the second alien.